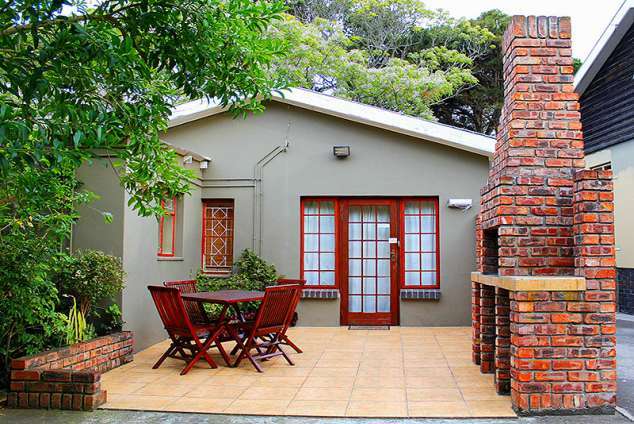 African Aquila Lodge - Walmer Accommodation. African Aquila Lodge takes its name from the majestic African Eagle and is a 5 unit self catering establishment - an ideal getaway for families and long term corporate clients. Port Elizabeth airport – 3.2km away, (not in the flight path). University: - NMMU - 11.2km away. Shopping: - Walmer Spar Complex – 650m away; Walmer Park Shopping Centre – 2.8km away & Baywest Mall – 16.0km away. Sport: - Nelson Mandela Bay Stadium – 7.8km away & St Georges Park Cricket Stadium – 4.6km away. Entertainment: - Boardwalk Casino & beachfront – 7.9km away. Beaches: - Less than five minutes drive to our popular beaches. Dining: - Within walking distance to excellent restaurants in the vicinity. Security: - Independently operated alarm in each unit with 24hr monitoring and response; SAPS Walmer station - 750m away. Five self contained units are all fully equipped and beautifully appointed. Each unit has its own bathroom with bath & shower. All have fully fitted kitchens, except for washing machine and dishwashers. Guests can also relax on their own private patio and have a lazy afternoon barbecue / braai overlooking the pool and lush gardens. Beautifully decorated en-suite units all with a private patios and barbecue facilities overlooking a secluded lush tropical garden. Private entrances. Swimming pool. Laundry service by arrangement at extra cost. BBQ facilities. Ceiling fans in every room. Secure off-street parking – (automated gate). Independently operating alarm system for each room (with 24 monitoring and response). All rooms with TV's and DSTV. No indoor smoking. Airport transfers (at a nominal fee). WiFi. We change linen once a week and for additional cleaning it will be for the guests’ account - R130 for cleaning while guests are still booked in. Only 1 visitor allowed per guest, otherwise with prior arrangement with management. Visitors’ vehicles parked outside premises. No sleep- over of visitors, if they do management will charge the guest an additional R150 per person. 26261 page views since 01 Sep, 2009. Last updated on 23 Oct, 2018.